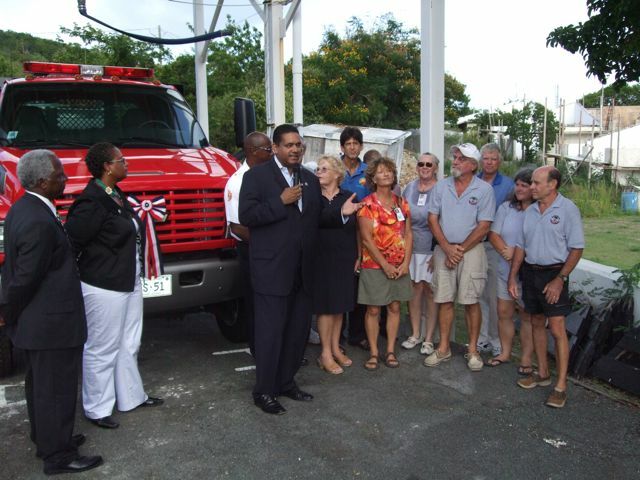 After arriving from the ferry dock, Water Island residents celebrated the dedication of our new fire truck. 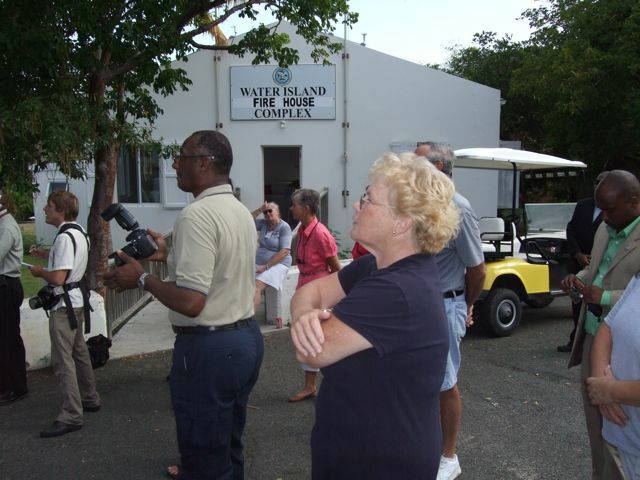 Efforts were started over 10 years ago by "Hap" Starr to secure a fire truck for Water Island. Governor DeJongh took a special moment to congratulate Hap and applaud his efforts. 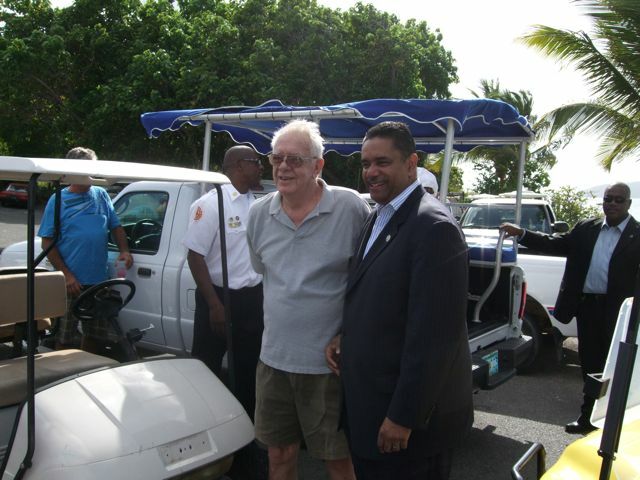 The Governor applauded the efforts of all members of the Water Island Search & Rescue Squad. 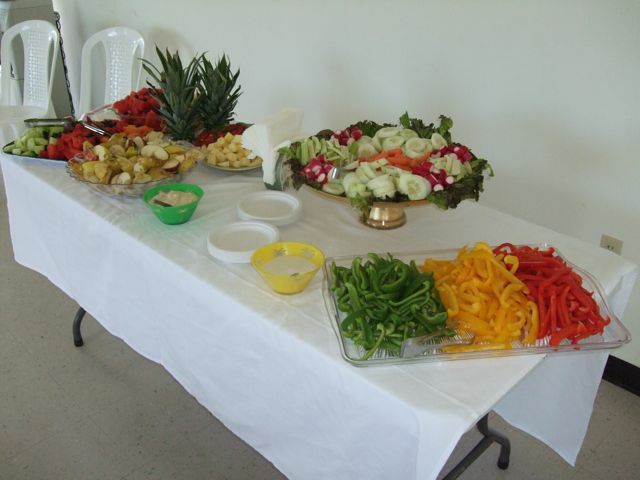 Everyone was treated to a fabulous assortment of food and drinks. Marion Wilkinson did an outstanding job in making sure everything was "just right". The entire event required the hard work of many people. Joanne Bohr, acting as Government Liaison, coordinated the efforts of WISAR & WICA members to make sure the event was a complete success.